12 fascinating, freaky facts about early medical science. We had heard about the International Museum of Surgical Science’s spooky Halloween tours for years and had passed by the colossal figure holding a limp and seemingly lifeless body out front numerous times on Lake Shore Drive in Chicago. So when something called Morbid Curiosities showed up as a suggested event in our Facebook feed, we couldn’t resist. The museum smartly offers tours year-round, though their Halloween event is legendary. We were surprised to hear that George Washington died from bloodletting. Housed in a mansion built in 1917 near the shore of Lake Michigan, just north of downtown Chicago, the museum contains three floors of macabre medical paraphernalia. For this event, a guide walked us through the displays, calling out gruesome fun facts about the various medical techniques of the past. Here are a dozen creepy cool things we learned on our tour. 1. Ancient doctors believed illnesses were attributable to an imbalance of the four humors. This notion dates back to Ancient Greece and the teachings of Hippocrates. Often referred to as the Father of Medicine, his code of ethics, known as the Hippocratic Oath, is still used today. 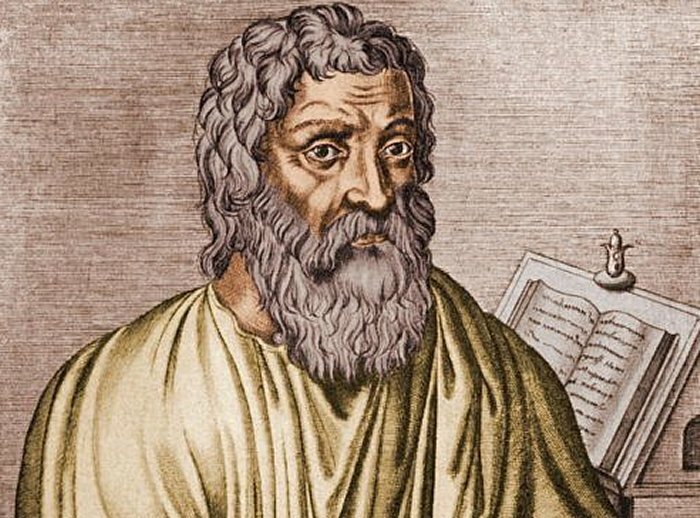 Hippocrates developed the theory of the four humors and their influence on the body and its emotions. Hippocrates believed that by paying attention to the balance of these four humors, we could maintain a healthy body and mind — and an imbalance could result in disease or death. 2. One of the best-regarded doctors of the Dark Ages recommended a medical bath involving the blood of blind puppies. Here is a bath which has proved to be of value. Take blind puppies, gut them and cut off the feet; then boil in water, and in this water let the patient bathe himself. Let him get in the bath for four hours after he has eaten, and whilst in the bath he should keep his head covered, and his chest completely covered with the skin of a goat, so he won’t catch a sudden chill. 3. 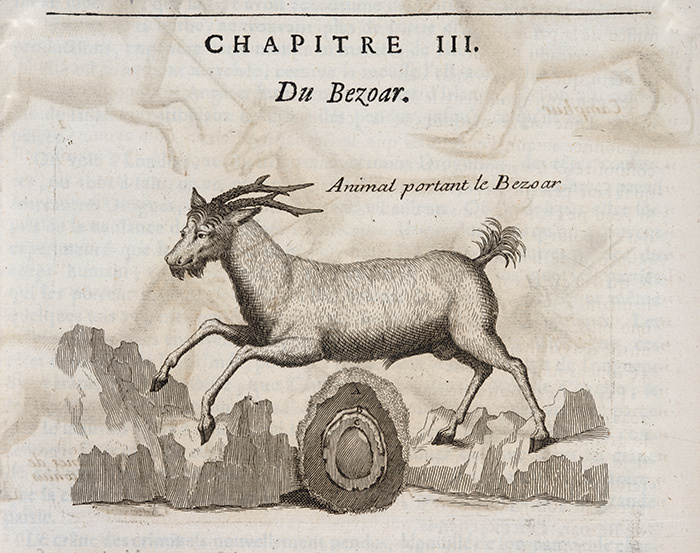 A stone that grows in a goat’s stomach was thought to be the ultimate antidote to any poison. An hour after, I found him on the ground on his hands and feet like an animal, with his tongue hanging out of his mouth, his eyes wild, vomiting, with blood pouring from his ears, nose and mouth. Eventually he died in great torment, seven hours after I gave him the poison. 4. Cataract surgery can be traced all the way back to the 5th century BCE in India. I’m not sure what current cataract surgery involves, but its origins are downright disgusting. The procedure started out pleasant enough, with an oil massage and a hot bath. But that’s when things got icky. The patient was tied down because of the excruciating pain to come. A knife or needle would dislodge the cataract — you’d know when this had happened because you’d hear a pop and see a gush of water. Surgeons would seal the cut with breast milk and a salve of clarified butter. If the patient could see after, it was considered successful. Not surprisingly, this didn’t happen all that often. 5. There are books — mostly medical texts — that are bound in human skin. The practice of binding books in human skin was once fairly common and has a fancy name: anthropodermic bibliopegy. The poor suckers whose epidermises have been cured to cover books were typically prisoners and other cadavers used for dissection. It’s tough to know if that leather-bound ancient tome is from a cow or a criminal. How many books from the museum’s library are bound in human skin? A famous (and morbid) example is Burke’s Skin Pocket Book. William Burke and William Hare were serial killers who murdered 16 people and sold the cadavers for anatomical study and dissection. Burke was found guilty and hanged. He received a just punishment: His corpse was dissected, and some of his skin was used to fashion a small book, now part of the collection of the Surgeon’s Hall Museum in Edinburgh, Scotland. 6. People didn’t think women should have anesthesia during childbirth because of a Bible passage. In South America, at least, when a woman was to give birth, they’d use a sea sponge drenched in wine and mandrake root as anesthesia. It had one mild side effect, though: The woman would hallucinate and trip her balls off. 7. The first surgery involved poking holes into the skull. This fun practice, known as trepanation, seems as necessary as a hole in the head — pun intended. It was performed by Incan priests to let out evil spirits. They’d chew coca (the same plant from which cocaine is derived) and spit it into the open wound. What’s most shocking is that more than half of the victims, er, patients survived. 8. Andreas Vesalius, the father of modern anatomy, took to grave robbing for corpses to dissect. Vesalius, who lived during the 1500s, used the bodies of convicted criminals to create his seminal works on human anatomy. But when that wasn’t enough, he started digging up bodies in graveyards. To be fair, many cemeteries were a mess at the time. Dogs would often be found gnawing away at the bodies piled up in mass graves, and Vesalius would have to fight them off for his prize. Who’d’ve thunk a sore throat would lead to the death of the United States’ first president?! 9. Bloodletting was a popular practice — and led to the death of none other than George Washington! For 3,000 years, surgeons have thought that blood gets old and stagnates, and that the best way to refresh it was to open a vein and start to drain. We were familiar with the practice of bloodletting but were surprised to hear that the first U.S. president died from complications of a bloodletting procedure in 1799, in which nearly 40% of his blood was drained. The reason this was prescribed? He had woken up with a sore throat. 10. Blood transfusions didn’t work so well in the past. This surgical procedure had a high rate of mortality before blood groups were discovered by Karl Landsteiner in 1901. In fact, sometimes animal blood was used in transfusions because it was thought to be cleaner (in part because they don’t drink booze). 11. Amputation used to be the most common surgery because of infection. There was even an amputation superhero: Robert Liston, who earned the nickname the Fastest Knife in the West End in the earlyish 1800s. The London surgeon proudly wore his bloody apron and could hack off a limb in 90 seconds flat. Fast was good, what with the lack of anesthesia. Of course, the downside was that Liston had a high mortality rate. In fact, one of his surgeries killed three people: the patient, an assistant whose fingers were accidentally cut off and later became infected, and an elderly doctor watching the procedure whose coat was sliced in the excitement and died of a heart attack. 12. Maggots are still used to clean out wounds.